physicists, materials scientists and electrical engineers. Laurens Siebbeles studied chemistry at the Free University in Amsterdam and obtained his PhD degree at the FOMInstitute for Atomic and Molecular Physics in Amsterdam. He was a post-doc at the University of Paris Sud in France. Currently he is Professor in opto-electronic materials at the Delft University of Technology in The Netherlands. He studies the dynamics of charges and excitons in molecular materials and semiconductor nanocrystals. Charges and excitons are produced with high-energy electron or laser pulses and probed by time-resolved optical and microwave or terahertz measurements. The experiments are supported by theory of charge and exciton dynamics. interests consist of theoretical and experimental studies of the properties and dynamics of excited states in bio/organic materials. 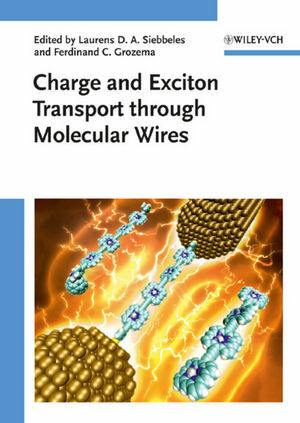 The main focus of this research has been on charge transport in conjugated molecular wires and in DNA.